Book soon! – Call to book your adventure now! Day 1 – Your guide(s) will pick you up in Anchorage and help you with any gear questions or last minute needs. One night lodging at the Millennium Hotel on Lake Hood included. Day 2– Fly to the headwaters of the Talachulitna river via float plane from Lake Hood. Your guides will have you on fish in no time at all. Day 3-6 – will be spent floating and fishing 45+ miles of World Class water. Great days of fishing are followed by wonderful meals & campfire stories. 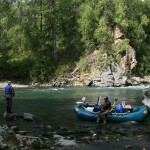 Day 7 – Some great early morning fishing will give way to a scenic 2 hour float to the village of Skewntna( pop. 11). From there a small wheel plane will pick us up and fly us back to the wonderful town of Talkeetna. Once in Talkeetna that afternoon your group will be put up in our 1200 sq ft cabin with private bath and full kitchen. An evening spent relaxing or maybe at the Fairview Inn for live music & cocktails. Day 8 – after a big breakfast we’ll load up our gear and head to the Heli pad for a 45 minute flight to some of the best trout water Alaska has to offer. Oh! Did i mention the Salmon fishing too. 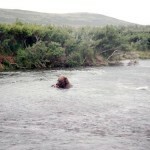 Day 9-10 – will be spent floating and fishing a truly unbelievable place. I’ve fished all over Alaska and this small unknown stream is as good as anywhere. An evening arrival back at the DFA headquarters on day 9. Hot showers & a home cooked meal. Lodging for the evening will be provided at our Cabin. Last but not least, a night in Talkeetna dancing and cocktails at the Fairview Inn. Day 11 – One of our expert staff members will give your group a ride back to Anchorage, where you can get on plane and think about Alaska the whole way home. 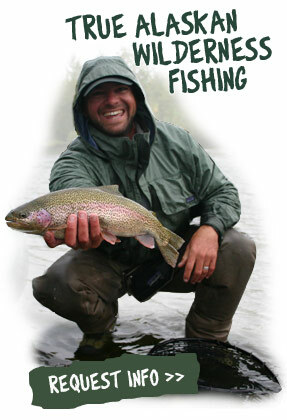 Moose Creek is a small clear water stream that offers excellent rainbow trout fishing in the spring. Grayling, and Northern Pike are also abundant in this 35+ mile stretch of class 1 water, but the Rainbows up to 28 inches are what we’re here for. This river is floated in 6 days and 5 nights and the cost is $2995 per person. Includes Float Plane back to Talkeetna after the trip. The time frame for Moose Creek is between May 15th and June 20th. From its headwaters at the base of Mt McKinley, to the Yentna River, Lake Creek is a 54 mile stretch of water that will never be forgotten. All five species of Pacific Salmon enjoy this river as their spawning grounds. 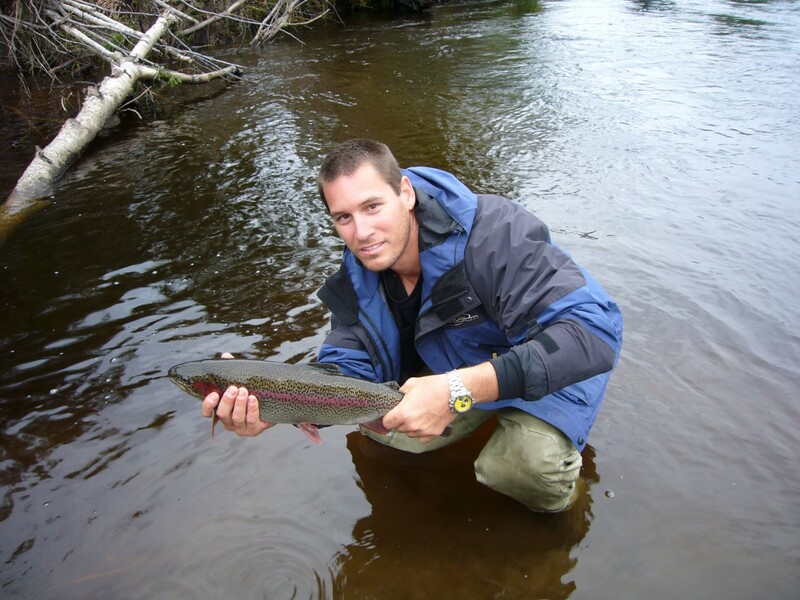 Rainbow Trout and Arctic Grayling grow big in these waters because of the ample food supplies. This is a great river to float if you’re looking for a combination of Salmon and Trout. 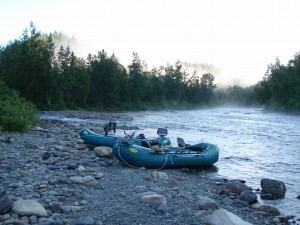 Spectacular scenery and some class 3-4 rapids will keep you busy between releasing fish. This trip takes 7 days and 6 nights and the cost is $3995 per person. Includes Float plane to and from Talkeetna. I like to float Lake Creek anytime between June 15th and September 15th. 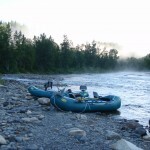 A 3 day 2 night trip on lower Lake Creek can be done for $1895 per person. Clear Creek is a small creek flowing out of Denali State Park. Beautiful gin clear water offers some great fishing for trophy Rainbow Trout, Dolly Varden, and Grayling. King Salmon fishing is not allowed on upper Clear Creek. After July 14th you can fish for the other 4 species of pacific salmon. This is a short 30 mile stretch of water that is easily wadeable for most anglers. I will walk the boat behind you for long stretches of water. 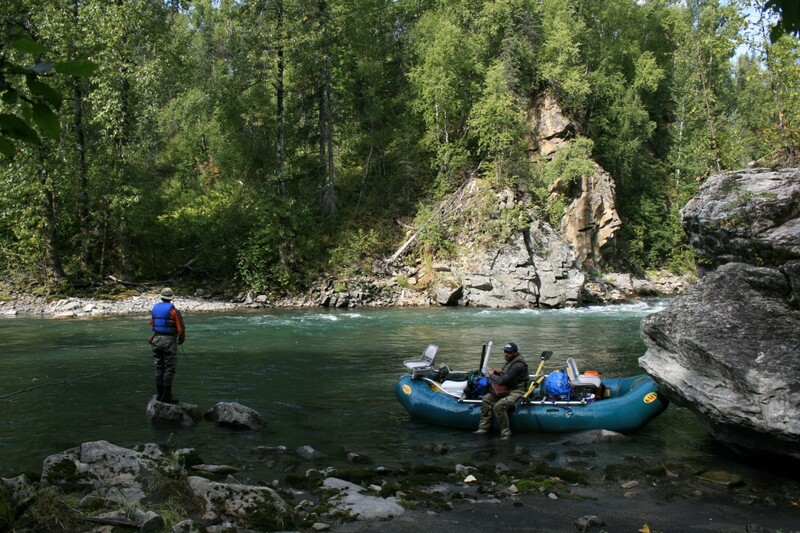 Clear Creek can be floated anywhere between 1-7 days, price is $650 per person per day. The more days spent on Clear Creek the further upstream we get dropped in via Helicopter. Price includes Helicopter flights to the upper stretches of the creek. June 20th-Sept 15th. Talachulitna River is a small clear water stream that flows out the Alaska Range. 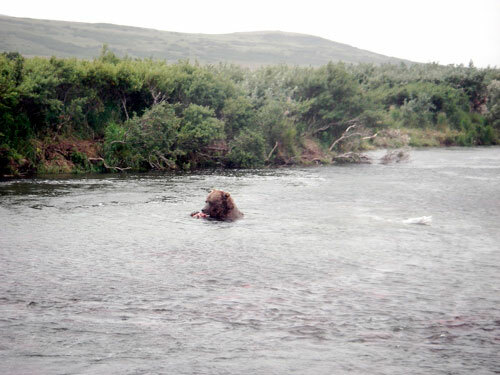 This 54 mile float starts from Judd Lake, and continues 18 miles down Talachulitna Creek where it meets the main Talachulitna River for the final 36 miles of river. Hells Chute, a class 4 rapid at the top of the canyon offers some excitement for the whitewater seekers. 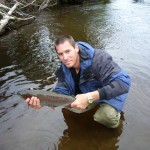 Rainbow trout over 24 inches can be caught consistently on this river. All five species of Pacific Salmon also spawn in the “Tal”, as the locals call it. This is a 7 day 6 night trip and the cost is $3995 per person. Includes round trip Floatplane from Anchorage. Time frame on the “Tal” is mid June to mid September. 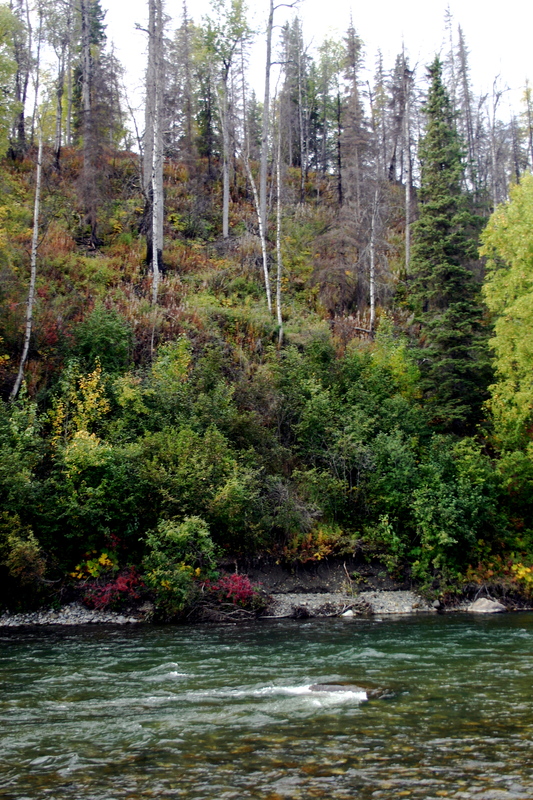 Koktuli River is located in Southwestern Alaska; this is the #1 river on the Trout Unlimited list of rivers to save. This is because of the proposed Pebble Mine at the headwaters of the North Fork Koktuli. This is Alaska at its best, world class fishing and solitude. These trips run $5200 per person and are 7 days and 6 nights. I like to float the Koktuli anytime between June 20th and Aug 15th. 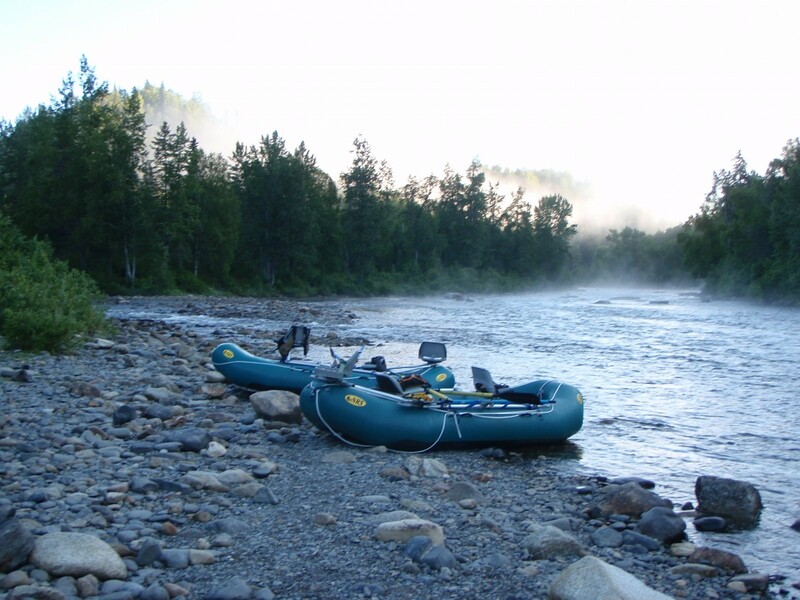 The HoHolitna River is a seldom traveled river that flows for nearly 110+ miles before its confluence with the Kuskokwim River. Fishing for all five species of Pacific Salmon can be done, but the real treat on the Holitna are the Sheefish that average 10-15 lbs, and put up an awesome fight on the Fly Rod. Due to its remote location and the costs of getting to and from the Holitna, we like to spend 10 days and 9 nights and the trip cost is $9995 per person. Other Rivers can be floated as well. I’m willing to take you anywhere you want to go in Alaska. If there is a certain river that you would like to experience and would like me to guide you on, give me a call and we can talk details. I have been known to give discounts in order to experience a part of Alaska that I have yet to see. Alcohol that you would like for your float trip. A list of what you should bring is located here.